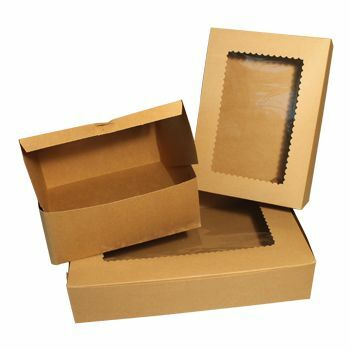 These widowed bakery boxes will keep your customers hooked as the items you deliver in them would remain as fresh as if they are right out of the oven due to their air tight packaging. 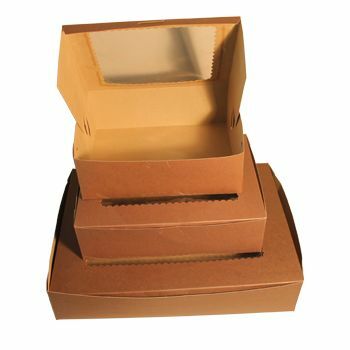 8 X 5.75 X 2.5"
8 X 8 X 2.5"
9 X 9 X 2.5"
9 X 9 X 4"
10 X 10 X 2.5"
12 X 12 X 5"
12.5 X 5.5 X 2.25"
14 X 10 X 4"
19 X 14 X 4"
What better way to attract customers then to show them the delicious baked goods you make? 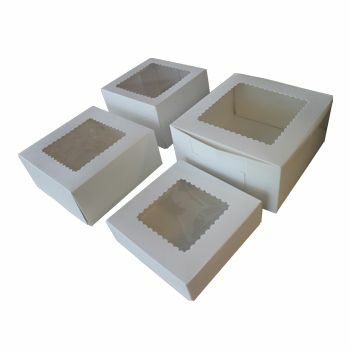 These windowed bakery boxes are perfect for cakes and other goods that need to be showcased. 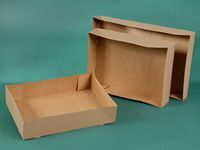 They are very high quality boxes available in many different sizes. 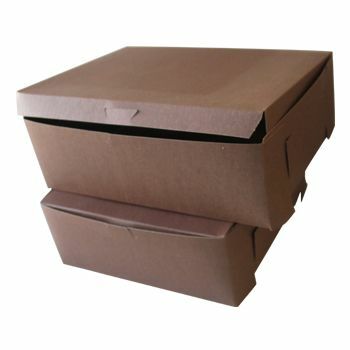 You can get these boxes in plain white or you can have them printed with your own branding if you so desire. 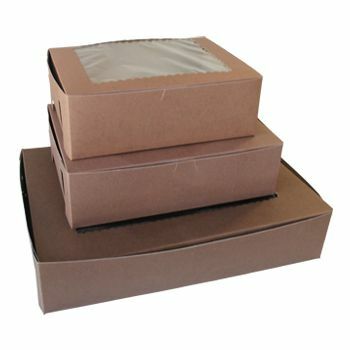 They are prices competitively as well. 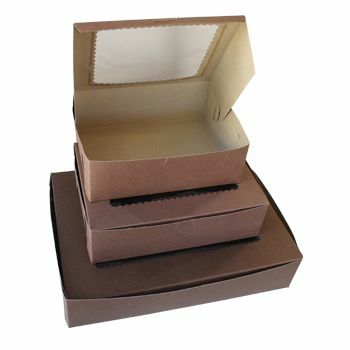 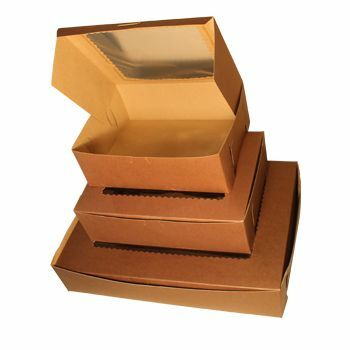 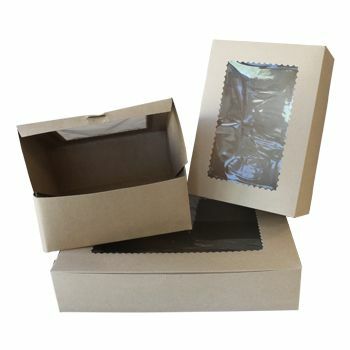 These bakery boxes are available in 20 different dimensions so there is one that is perfect for every product you have.